Looking for a College Magazine in Canada? Here is the complete list of where you can find the 2018 Phil Steele College Football Preview in Canada. Check back on our blog section in early August of 2019 for a updated list of stores carrying the magazine in Canada. Dont forget that the 2018 College Football Preview is up and available right now on iTunes, Google Play, Amazon and also we now offer a browser version (see bottom of page). 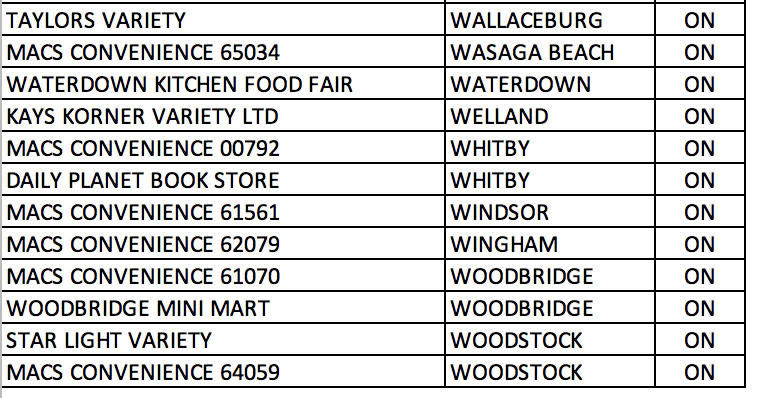 Stores listed Alphabetically by City. Available now: The digital copy of the Phil Steele 2018 College Football Preview is now available on Android devices through the Google Play Store , Apple App Store and for Amazon Kindles. Just search for “Phil Steele” on their app store, download the app and purchase the 2018 College Magazine there for just $12.99. Also we have a digital browser version here. The Apple App Store and Amazon Kindle versions are awaiting approval and should be out shortly.